Emily has obtained her Bachelor of Laws at the London School of Economics and Political Science and completed her Postgraduate Certificate in Laws at the City University of Hong Kong. 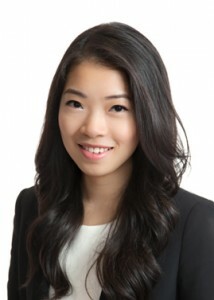 Emily has joined chambers in 2013 upon completion of her pupillage with Mr. Hectar Pun (Denis Chang's Chambers), Mr. Bruce Tse (Plowman Chambers), Mr. Graham Harris S.C. (Liberty Chambers) and Mr. S.W. Lee (Liberty Chambers). Emily's practice covers mainly criminal matters with a particular focus on commercial crime. Since commencing practice, she has appeared as a junior in the District Court, the Court of First Instance, the Court of Appeal and the Court of Final Appeal as well as undertaking criminal work at the magistracy level. In civil matters, Emily also has experience in drafting pleadings for interlocutory applications, general commercial litigation and injunction matters. Emily is fluent in English, Cantonese and Mandarin and can read and write in both Traditional and Simplified Chinese.